We did it! AOBA volunteers and generous members helped AOBA exceed our fundraising goal of $10,000 to support Covenant House's comprehensive services for homeless youth in our region. AOBA actually raised an impressive $12,700 for this important cause! For the first time, hardy volunteers participated as an AOBA team in the organization's "Sleep Out" event on Nov. 16th. 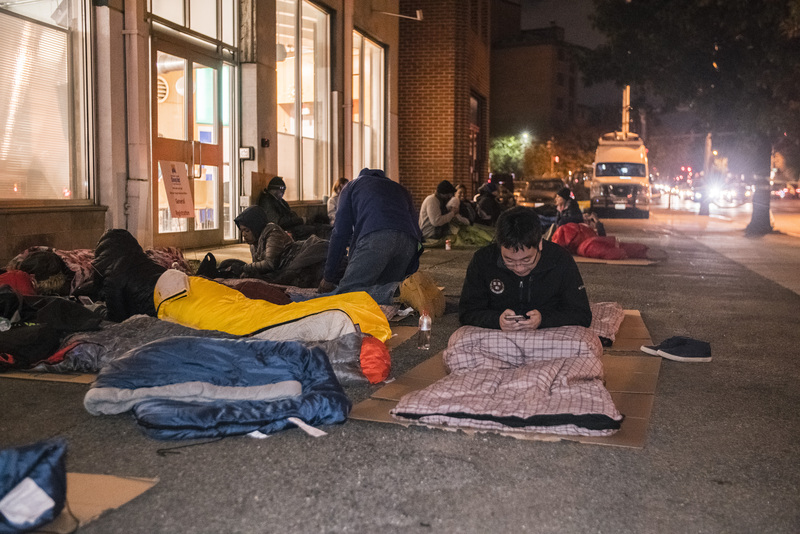 They braved the cold all night - bundled in sleeping bags - to raise awareness about the challenges that homelessness youth face. We are most appreciative of our dedicated volunteers AND the generous, speedy response by AOBA members! A new AOBA community partner, Covenant House Washington’s mission is “to empower, safeguard and serve youth experiencing homelessness, disconnection, and exploitation in the Greater Washington region.” The wrap-around supportive services provided by Covenant House to area youth include housing (both emergency housing and longer-term support); workforce readiness; job placement; a Child Development Center; and drop in services. This effective nonprofit is based in downtown DC but provides benefits to individuals across the region. energy procurement for the commercial building industry, including multifamily apartment buildings. AOBA is committed to serving as an industry leader in promoting energy efficiency and to providing helpful information on sustainability topics relevant to members. The members of AOBA invite and encourage you to join! By working together, we can achieve our mission to maintain and enhance our industry as a whole. All memberships are company based and individuals cannot join AOBA.